Grillin’ & Chillin’ at Kirby’s! Looking for a great restaurant in Juno Beach? 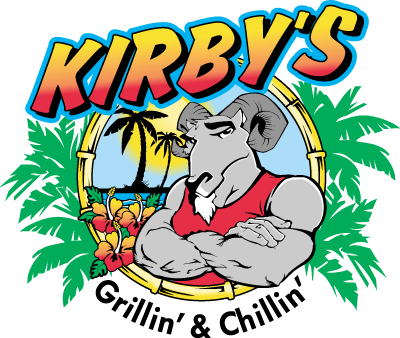 Kirby’s Sports Grille serves delicious food and ice-cold beverages year-round. Don’t have time to sit down? Our entire menu is available for carry-out. And don’t forget to ask about our children’s menu and daily Happy hour specials! Just kidding! No reservations are needed. Join Our eClub and receive exclusive offers by email and be entered in to our monthly drawing for a $25 Gift Card.